Boyds Mills Press, 9781590788585, 32pp. An old and tired winter wind is searching for a place to rest. But wherever he goes, the wind is turned away, until his pain fuels a raging storm. Then he meets a good-hearted child who offers him a place to stay, and in gratitude the old wind leaves the child a lasting legacy. 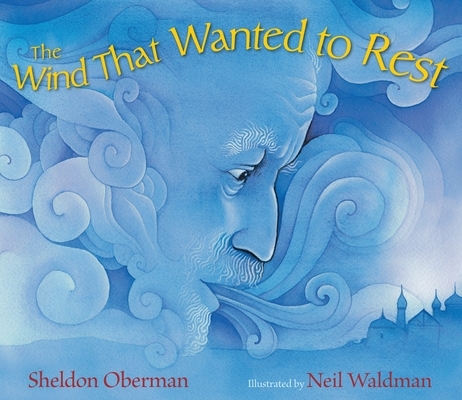 From Sheldon Oberman, author of the award-winning The Always Prayer Shawl, comes a timeless tale about the good that flows from kindness and understanding. Neil Waldman's stunnign art evokes the world of old Russia, where the story originated. Sheldon Oberman wrote two Sydney Taylor Honor Award The Wisdom Bird and The Always Prayer Shawl, which also won a National Jewish Book Award. He taught at Joseph Wolinsky Collegiate, Winnipeg, Manitoba, where the Sheldon Oberman Writing Award has been established in his honor. Oberman died in 2004. Neil Waldman has written and illustrated more than fifty books. He is the recipient of the Christopher Award and the National Jewish Book Award. He lives in White Plains, New York.